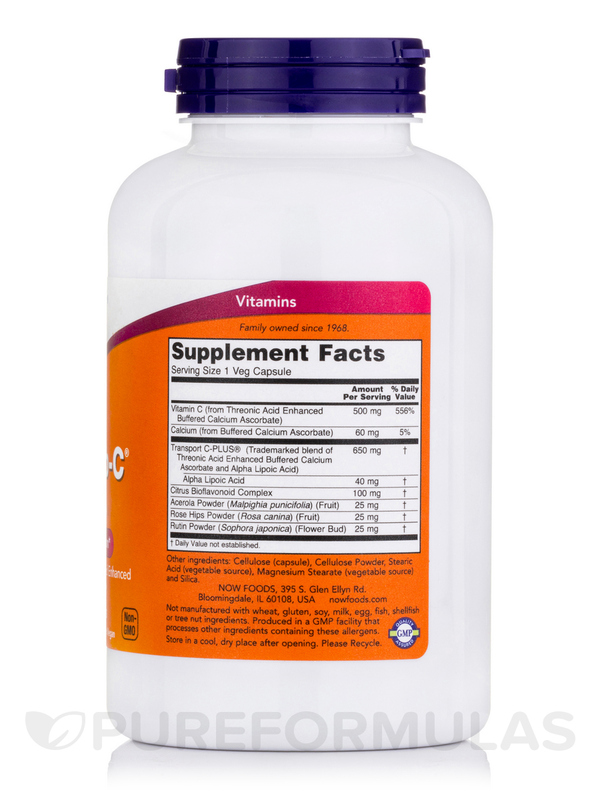 Vitamin C is best known as an antioxidant that can protect the body's cells and molecules from damage by free radicals. 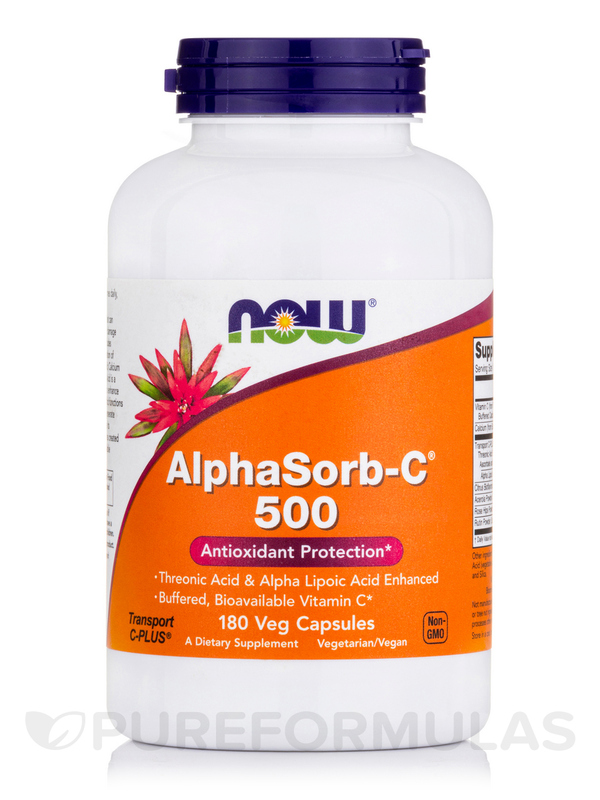 NOW® AlphaSorb-C® includes Transport C-PLUS®‚ a trademarked combination of Threonic Acid-enhanced‚ buffered (non-acidic) Calcium Ascorbate with Alpha Lipoic Acid. 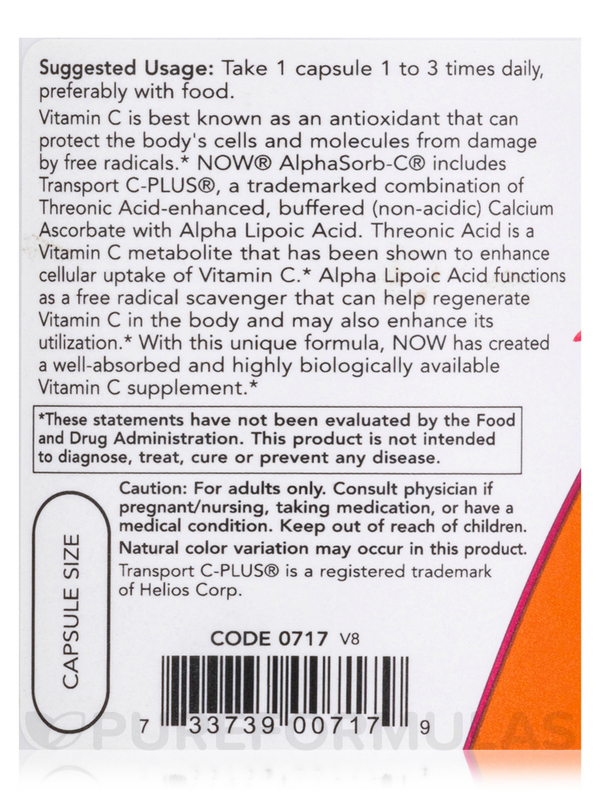 Threonic Acid is a Vitamin C metabolite that has been shown to enhance cellular uptake of Vitamin C. Alpha Lipoic Acid functions as a free radical scavenger that can help regenerate Vitamin C in the body and may also enhance its utilization. 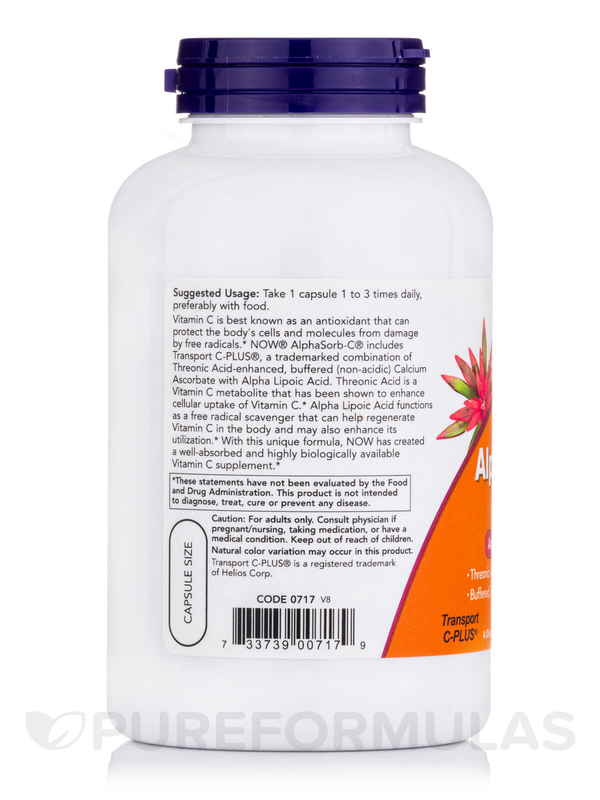 With this unique formula‚ NOW has created a well-absorbed and highly biologically available Vitamin C supplement. 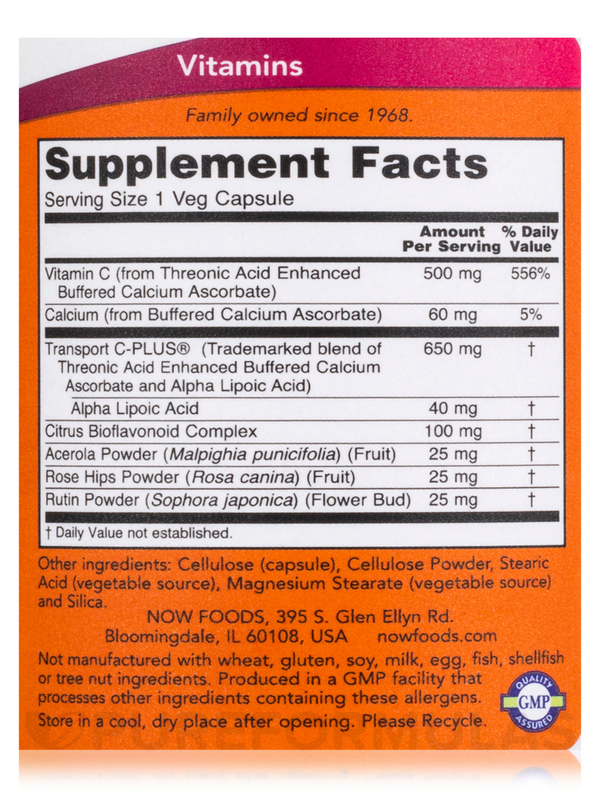 Other Ingredients: Cellulose (capsule)‚ cellulose powder‚ stearic acid (vegetable source)‚ magnesium stearate (vegetable source) and silica. GMP Quality Assured / Non-GMO / Vegetarian / Vegan. Take 1 capsule 1 to 3 times daily‚ preferably with food.